Further education, be it an associate degree, a certificate program, bachelor degree or master degree, is an expensive investment. While it may cost a lot to to compete a course, it will pay off in the long run as your new skills and knowledge will open the door for a range of exciting and higher salaried job positions! 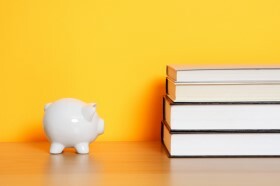 Unfortunately, many students do not have the money to pay up front for all of the costs involved with further education such as college fees, maintenance expenses and the costs of any books or materials needed to participate on the course. Furthermore, as college tuition fees and the costs of living in America are increasing every year, the financial considerations of further education have become a major preoccupation for aspiring students. Indeed, finding the money to pay for your education can be just as challenging as trying to find the right college for you chosen course! Luckily, a number of government bodies and private organizations appreciate the value of graduates and financial problems that they face and, as a result, they have out together a number of financial aid systems to help make further education more accessible. Loans: this is an amount of money given to students to help them fund there studies. However, loans need to be paid back with interest. In addition, there is often an origination fee for taking out the loan. Grants: this is gift of money given to students to help them finance their education. Unlike a loan, these do need to be paid back. Scholarships: like a grant, a scholarship is a gift of money that is given to students in order to help them cover the costs of college. However, it is important to remember that, unlike a grant, scholarships often require students to meet certain requirements, such as attaining certain grades or promising to work for a certain company once they graduate from college. There are a range of places where you can find financial aid to support your studies. For all students, the first port of call should be the federal government which offers a number of grants, loans and scholarships. In order to be considered for financial aid from the federal government you will need to file a FAFSA (Free Application for Student Aid). Do remember that federal aid is awarded on a first-come, first-serve basis, so be sure to get your application in as soon as possible!